Desc: Landstrom's Black Hills Gold grape and leaf pearl necklace. 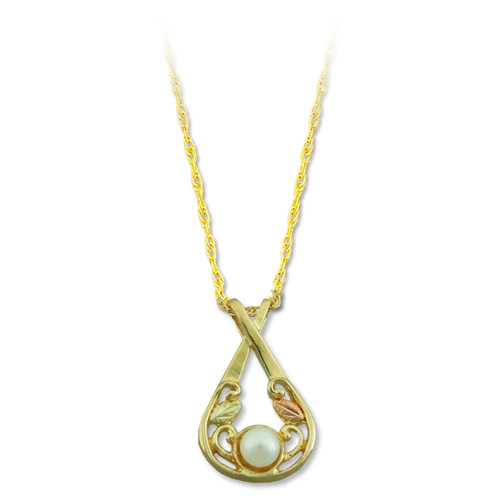 The pearl is bezel set at the base of the pendant. The rose and green gold leaves are mounted above the pearl.